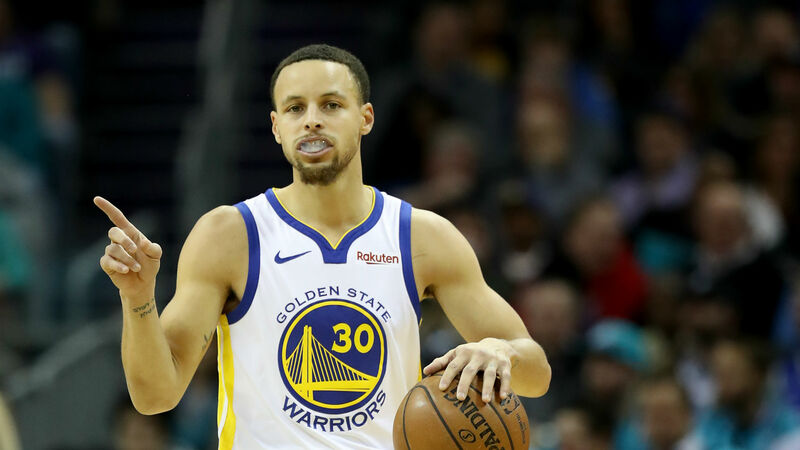 Stephen Curry praised his Golden State Warriors team-mates for standing up in the absence of Kevin Durant in their 106-104 victory over the Houston Rockets. The Warriors were without the 10-time NBA All-Star for the trip to the Toyota Center but the likes of Klay Thompson and DeMarcus Cousins came to the fore in his absence. Curry was also on form as the Warriors ended the Rockets' nine-game winning streak, the 31-year-old contributing 24 points, five assists and four rebounds. But it was the team performance that particularly pleased Curry, given they were without the scoring ability of Durant. "Understanding you are missing 28 points is tough," he said. "But you got to do it by committee so myself, Klay and DeMarcus were being aggressive when we had the ball in our hands. "Again, make or miss, we just tried to put pressure on them. Defensively was going to be the way we won this game. "We weren't going to out score them, we had to buckle down and get stops and just try and control the tempo of the game as much as we could."